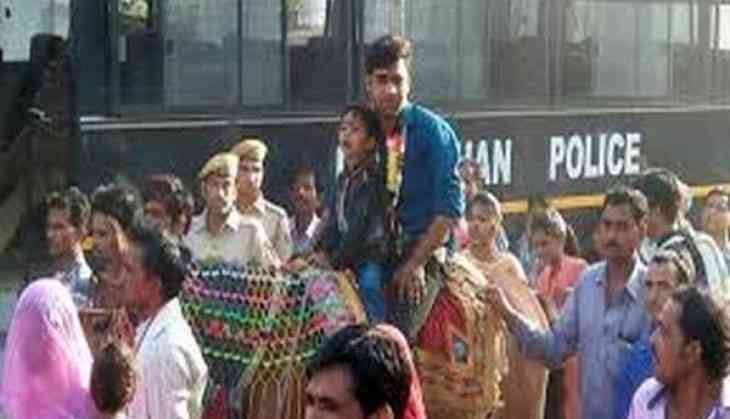 A Dalit man was allegedly beaten up and forced off a horse by a group of villagers during his wedding procession in Rajasthan's Bhilwara district. The incident took place in Bhilwara's Govardhanpura village on Sunday. People in the village stopped the groom after he left his house on a horse along with his family members. The police tried to stop the people but the groom was forced to get down from the horse and go back to his house. A case has been registered under SC/ST Act and seven people have been arrested so far in this regard.